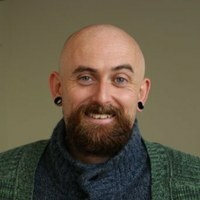 Gareth O'Neill [https://twitter.com/gtoneill] is president of the European Council of Doctoral Candidates and Junior Researchers (Eurodoc) [http://eurodoc.net]. He is interested in science policy for researchers and in improving the implementation and skills training of Open Science across Europe. Gareth was involved in the Dutch National Plan for Open Science, is an expert on Intersectoral Mobility and Open Science for the European Commission, and is a member of the H2020 Advisory Group on Marie Skłodowska-Curie Actions. He lives in Amsterdam and can often be seen sailing in a traditional Irish boat on Lake Ijsselmeer.